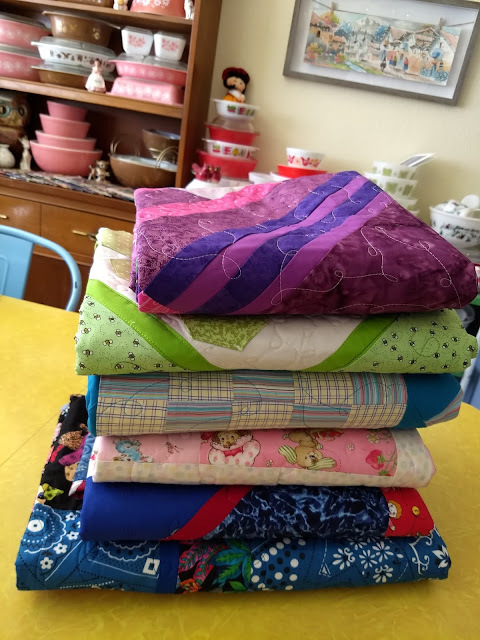 My Orphan Block Odyssey task for this month was to quilt and bind all the quilts I had made so far in 2018 for the OBO challenge! I did manage to get 5 of them quilted! 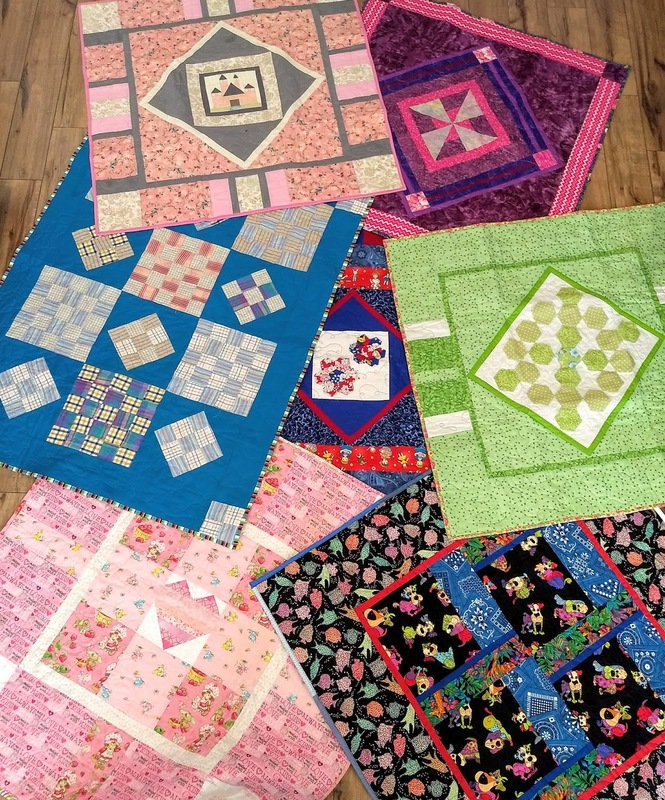 Along with a few other charity quilt tops. I have temporarily misplaced the January quilt, so it'll have to wait! So this month I added 6 quilts to my charity quilt bag! 4 were Orphan Block Odyssey quilts that for the quilt top I used an orphan block and only fabrics from my de-stash or scrap pile! 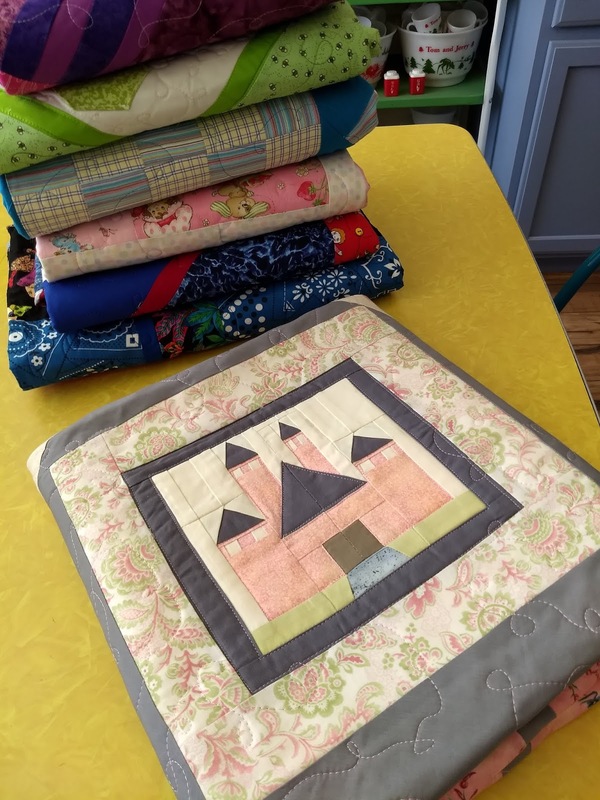 What a great way to use up the stash fabrics I no longer need/want and make sure my hours toiling on previously unused blocks are not wasted! The castle quilt top I did as an OBO challenge earlier this year will be a gift for a work colleague that is having a baby girl soon!